If you follow us on Facebook, you may have heard that Jake is the new butcher at the Meat Market in Great Barrington - and having a blast! The shop runs on hard work from a great team of passionate people and he's already had the opportunity to experiment with lots of different cuts, techniques... and animals! The other day, the shop got in a farm-raised venison and Jake was thrilled for the chance to break down something new! And of course we had to taste it! 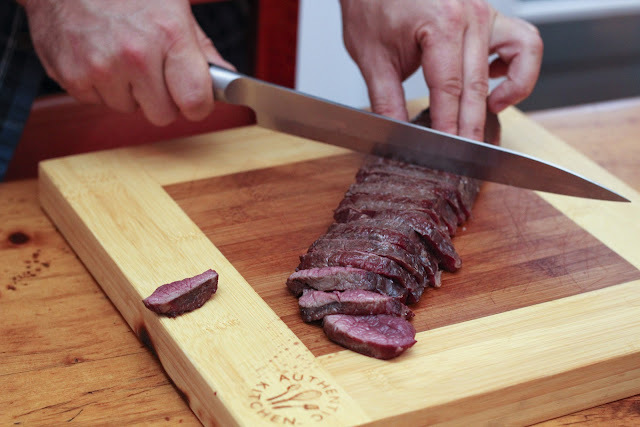 That night he brought some home in the form of a Western steak - one of the cuts we're most excited about cooking this summer. From the the bottom round, it's a muscle usually reserved for grind, lean stew or roast beef. But because it is so lean and has so much flavor it takes particularly well to grilling. 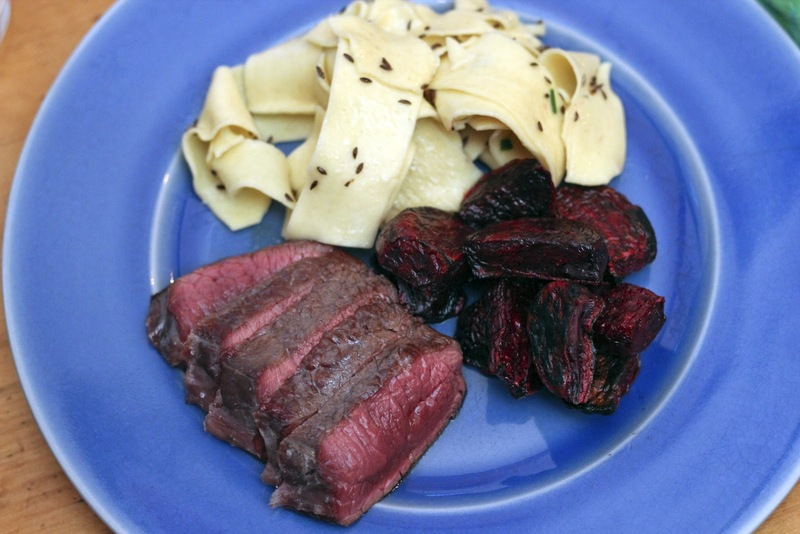 Now we can confidently say that as amazing as venison looks, it tastes even better! With a strong grassy flavor like beef but much lighter, it's actually quite similar to elk! (P.S. One of the best meats out there!) The new game reminded us so much of our perfect Scandinavian summer, so we served roasted beets and egg noodles in caraway butter on the side to honor it further. It was perfect for the first grill of the season! 1. Let grill get to high heat. 2. Pat steak dry and salt, drizzling a little olive oil on it. Put on grill for 3 minutes. 3. Drizzle a little more oil on the steak and flip. Cook for 3 more minutes. 4. Remove from heat and let rest for 5 minutes. Slice and serve! I've never heard of a western steak cut...looks great. I'll have to put that on my husbands list of cuts for when hunting season starts again (he butchers our meat himself). 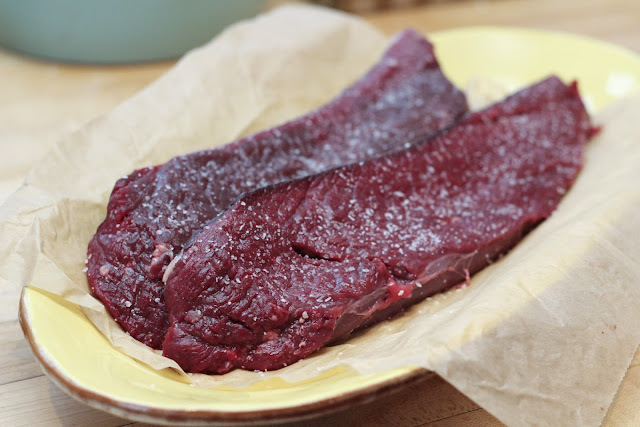 Regardless of the cut, grilled venison seasoned just as you did it is one of life's great culinary pleasures. Makes me want to go take one of our backstraps out of the freezer for dinner!